Payday loans didn’t exist in Tennessee until the early 1990’s. Allan Jones, the owner of Check Into Cash came up with the idea and ran with it at that time. Now, payday loans are available all over the country and his brand has 1,100 stores throughout the country. Payday loans have become a way for people to obtain financial assistance when they need it most. Yet, many people still don’t know much about them. If you have questions about Tennessee payday loans, continue reading this article. We’ll walk you through the ins and outs. payday. With that said, the maximum length of time for a payday loan in Tennessee is 31 days. Depending on the lender you choose, the amount that’s due might automatically come out of your paycheck. Although the specifications of these loans vary based on the lender, the Tennessee law requires them to be $500 or less. Why Would You Need a Payday Loan? With only 39% of Americans having enough money to cover a $1,000 emergency in their savings accounts, most people are left with the option of borrowing money when they have a financial emergency. For instance, if you have car trouble or need repairs done at home while you’re living paycheck to paycheck, securing a loan can help keep you from falling into a financial hole. This is where payday loans come into play. Because they are so easy to obtain, even those without any credit have good chances of becoming qualified. With that in mind, low income and low credit scores often accompany one another. If you’ve recently gone through an unexpected financial hardship, receiving a payday loan can significantly reduce your stress levels. Payday loans are great when you need to get out of a bad situation. But like most loans, they come with their own set of disadvantages. For starters, most lenders won’t give you a loan if you don’t work as a permanent employee or have a fixed, predictable salary. So, if you are self-employed, a freelancer, or business owner, your income might be hard to prove. Also, the uncertainty of your income can prevent you from obtaining an approval. Additionally, even if you work for a stable company, people who don’t work a set amount of hours can have problems here. Fluctuating paychecks don’t show lenders the amount of stability they like to see. 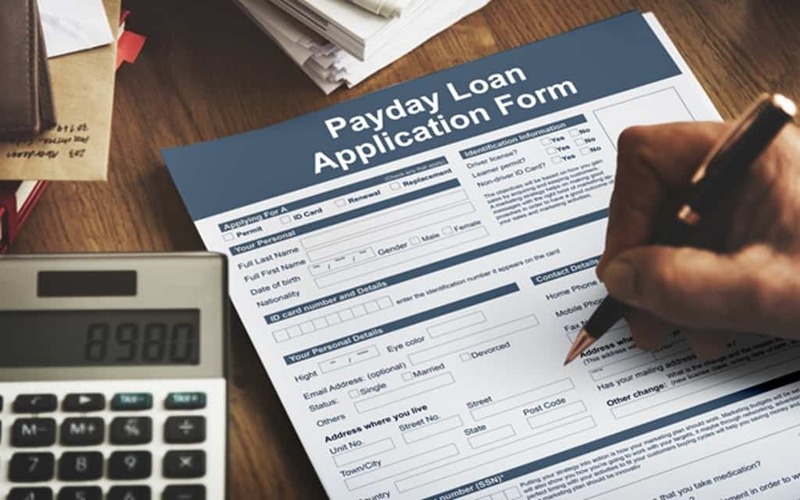 If you are in either category, most of the payday loan lenders you come across won’t offer you the option of using a cosigner which can tend to make up for low or fluctuating income. If any of these things disqualify you from becoming approved for a payday loan, speak to your lender about other options. Even if you don’t meet their terms for a payday loan specifically, it is possible that they will have another loan option to help you. Payday loans are a lot like unsecured loans in that they don’t require you to use valuable things like your car or home as collateral. It is also pretty quick to get your hands on the cash. Payday loans are usually deposited into your account within one or two days. After having negotiated your payday loan terms, you are going to need to sign a contract in order to solidify your agreement with the lender. This extra step makes the entire agreement legal. In the contract, you will find details regarding the length and amount of the loan. It will always include your interest rate and the responsibilities of both parties for the duration of the transaction. How Can You Get a Payday Loan? The lender will also need to know how to get in contact with you. So, they’ll ask for other things like your phone number, email address, and mailing address too. You can find and apply for a payday loan at a brick and mortar location or one of many guaranteed payday loans direct lenders. What Are the Qualifications for Tennessee Payday Loans? Most of the loan options that are offered by banks and credit unions will get you an instant “No” if you don’t have good credit. Payday loans, on the other hand, are a lot easier to obtain. They don’t require invasive credit or background checks. Instead, whether you are approved for a payday loan is mostly dependent on your income. Lenders won’t take the risk of approving you for an amount of money that’s more than what you make. Additionally, the majority of payday loan applications are completed in 20 minutes or less. And another plus is that you can typically apply from the comfort of your own home. Tennessee payday loans can help get you out of a pickle when you’ve found yourself in a difficult situation. Don’t be afraid to reach out to lenders for help if you aren’t able to handle a situation on your own.